Emerald Rangers: Peasant Knight (PS4, Vita) Review. An evil wizard is being an out right d*ck across the land by causing death and destruction. 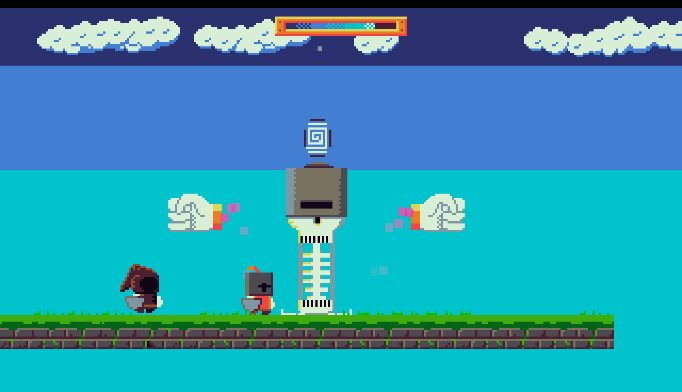 After having his farm land destroyed, Peasant Knight is out to put a stop to the evil wizard and save the world. It's a basic story, but it is enough and does get you excited. What I didn't like about it wasn't the story itself, it was the intro scene that tells you the story. Why? It is because that some of the text in this intro gets cut off due to this scene being programed way too zoomed in. It's a simple problem that could hopefully be solved with a patch, so it's not a game breaker. 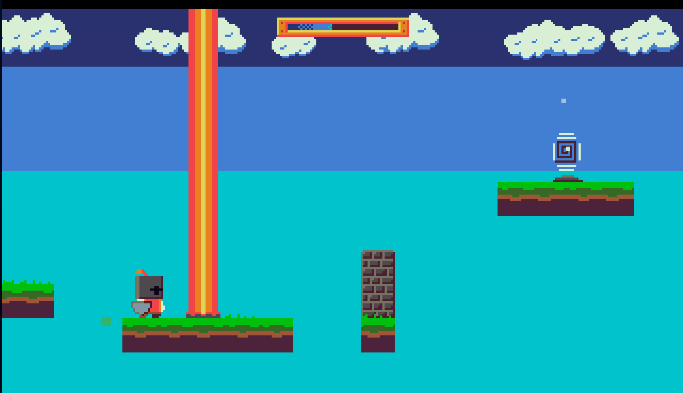 Peasant Knight is a auto-running platformer where you must get the knight to the end of the stage while avoiding tricky obstacles. 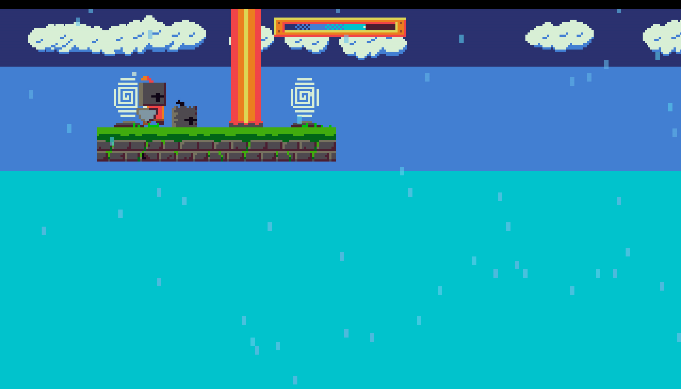 The levels feel more like puzzles than typical platforming stages. The auto-running main character gets you to use your brain and to tackle the levels with thought and concentration. Despite this game being an auto-runner, you do get some control of the character. Holding the directional pad button opposite to the direction that he is running in will cause him to stop. You can also make him jump... YAY! 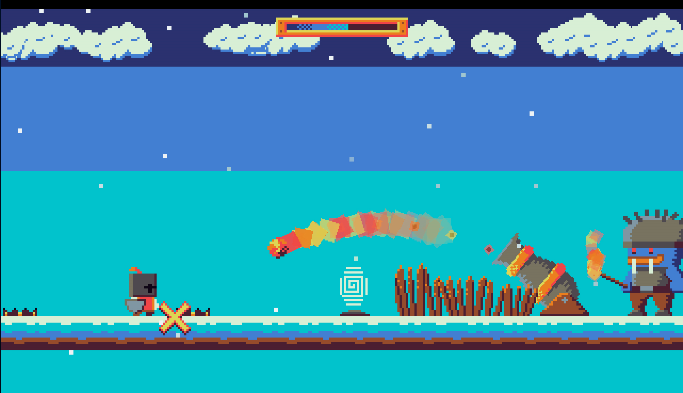 These don't make the game any easier, you'll need to use these abilities carefully in order to beat the levels. 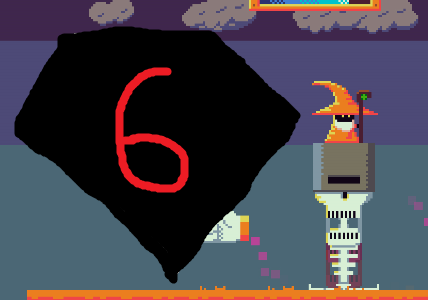 You also have to be quick as well because if you take too long to beat a stage, the knight will get struck by lightning and the level will reset. Yup, there's been more than one occasion where I've come so close, just to be struck down by lighting. The levels start off simple enough. Just make certain jumps and avoid certain things. 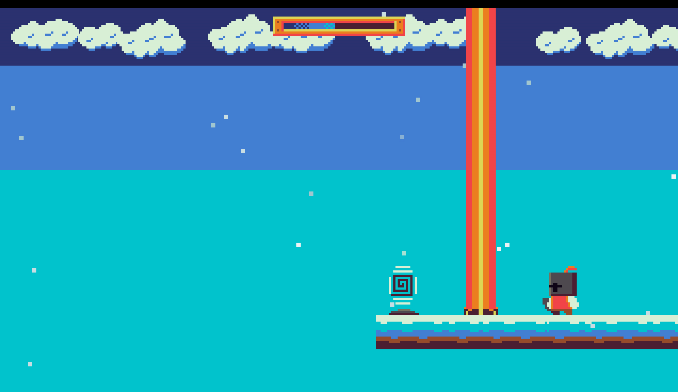 Deeper in, the game becomes much harder and you'll be faced with difficult obstacles and boss fights. Don't worry! As hard as this game gets, there's always a solvable pattern in the stages. The system itself is okay but it can get a little janky and could've been a bit more responsive. This doesn't make the game impossible to beat though. The most frustrating thing about this game was the introduction of launch pads that... Uh... Well... Launch you across the level. Some launch pads don't launch you far enough by stepping on them alone, you'll need to hit the jump button at the same time to send you that little extra mile. This doesn't sound too bad until you try to do it. You'll need what seems to be pixel perfect precision to get this action correct. Again, doesn't make the game impossible to beat but you will be raging in agony before you will get the timing correct. Sadly, the game doesn't explain how the launch pad jump works at all and it left me feeling real *points both pointer fingers to my temples* confused. Left me feeling soo confused that I had to ask Ratalaika Games (the people that released this game) about how to do it. (They did answer and I'm grateful for it. So, thank you Ratalaika Games.) Yup, it's a bad sign when I have to ask the publishers about how to play their game. Now, I have passed on the knowledge that was passed down to me, to you!... That didn't sound corny at all. So make sure to re-read that line in Marlon Brando's voice. Thankfully, the rest of the obstacles in the game are pretty self-explanatory and there's no problem in figuring out how they work. The level designs are also just okay with nothing much else to say about them. There's nothing much that pops out from these stages other than the boss battles. I also didn't feel the need to replay them after I had beaten them. While this is a difficult game to beat, it isn't a difficult game to get the platinum trophy on. You'll unlock them all by the time you get to the medium difficult levels. Trophy hunters, this game is perfect for you. There's also a multiplayer mode for if you want to suffer with a friend. The music is on the generic side but it doesn't sound bad. It has a clean medieval style of music and it does work with the theme of the game. 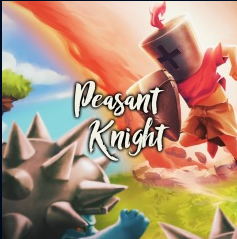 Overall, Peasant Knight isn't a good game, nor is it a bad game. It's one to get when it's on sale for a dollar or two. Peasant Knight gets a 6 out of 10.